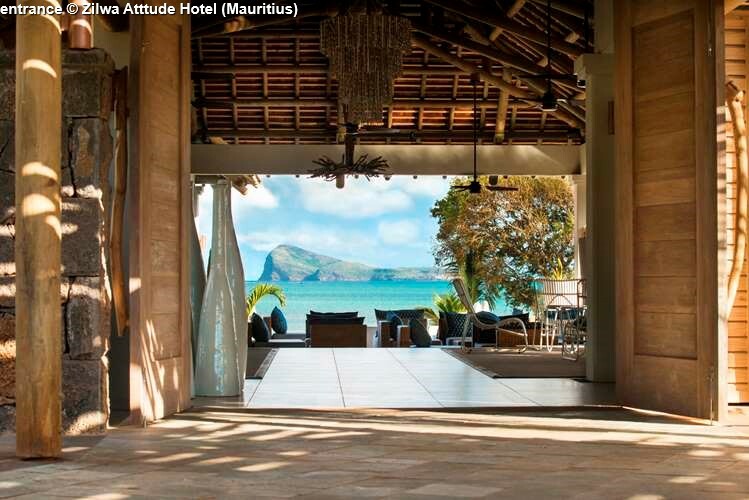 Situated on the north coast of Mauritius, in Kalodyne, close to the fishermen’s village of Grand Gaube, Zilwa Attitude hotel, with its 100% Mauritian concept, is different and unique a hymn to Mauritius… a true illustration of its soul and its traditions… Built in an arc around a beautiful beach, Zilwa Attitude offers a breathtaking view on the 5 islands of the northern coast. 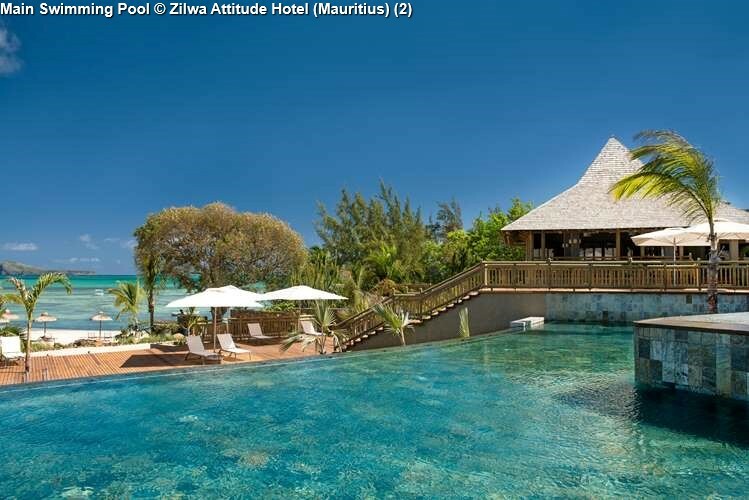 Zilwa Attitude takes care of the national heritage by promoting and doing credit to Mauritian artists, writers, architects and craftsmen. 43 rooms are communicating via an entrance hall. Each category has its own identity and personality. 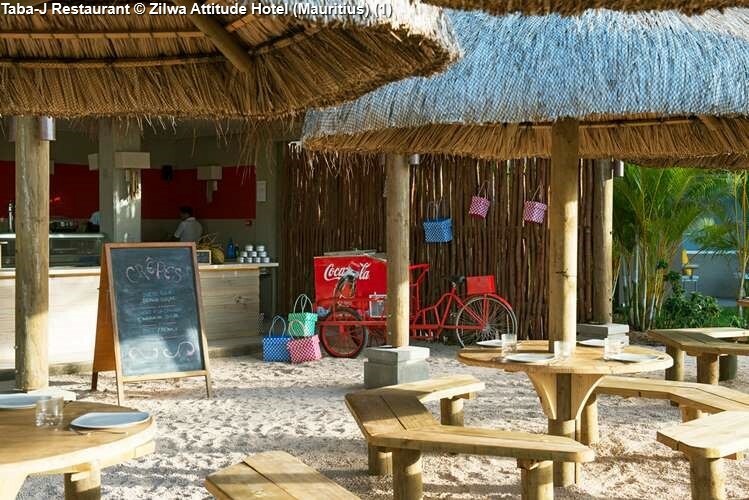 Zilwa Attitude has evening entertainment including special theme ones including a séga show once a week and open-air cinema. 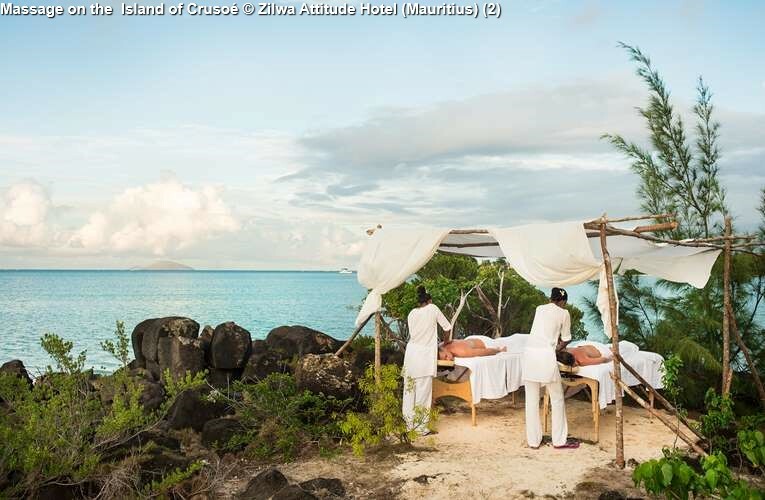 A few meters from the shore, Gran Zil and Ti Zil, two very small private islands invite guests to either, relax and enjoy a delicious barbecue at lunch time or a massage at any time during the day. 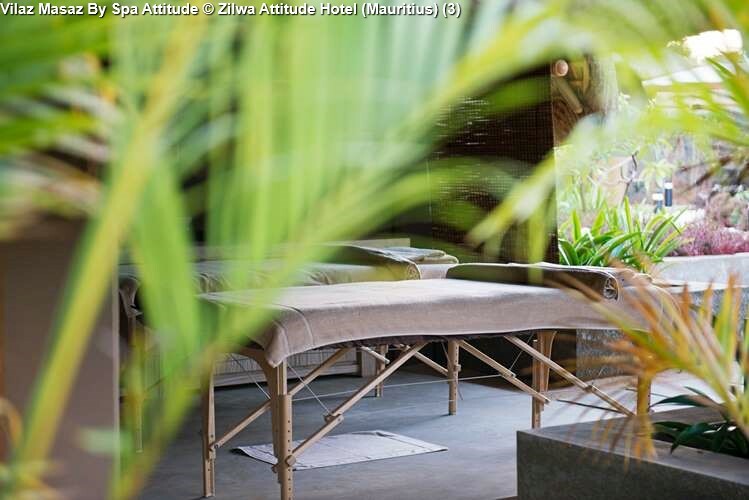 Vilaz Masaz by Spa Attitude, the eco-friendly Spa with its herb garden, is situated in a very exotic environment. 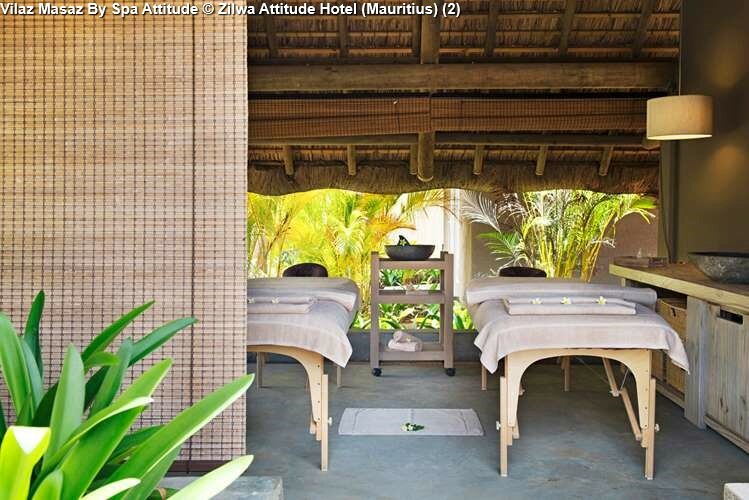 Spa Attitude offers a complete range of massages, body care and facials together with its 4 signature care: Earth Attitude to recharge one’s batteries; Sea Attitude, a purifying care; Sun Attitude, a stimulating care and Flora Attitude to relax. - a fountain of ice. 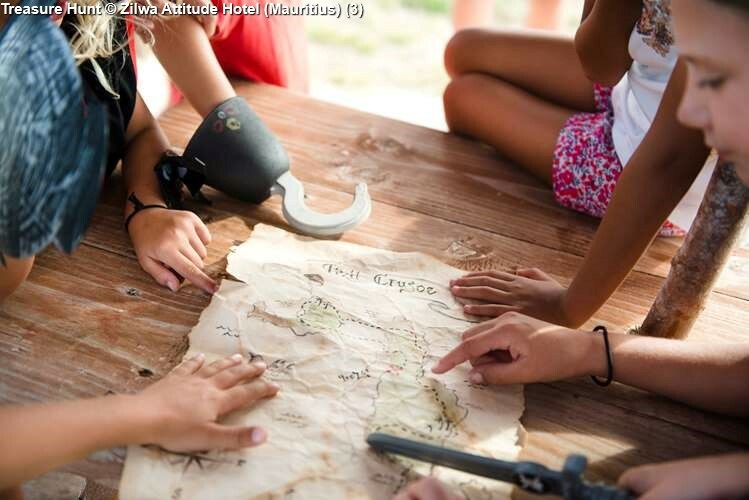 The mini club and "Ayo The Dodo"
At the mini club, "Ayo The Dodo", the famous dodo bird dressed up as a gentle pirate, is waiting for your children on its boat situated right at the entrance or will accompany them on a treasure hunt on Crusoe’s island. There are 3 main categories of rooms thought and designed to match everyone’s expectations. 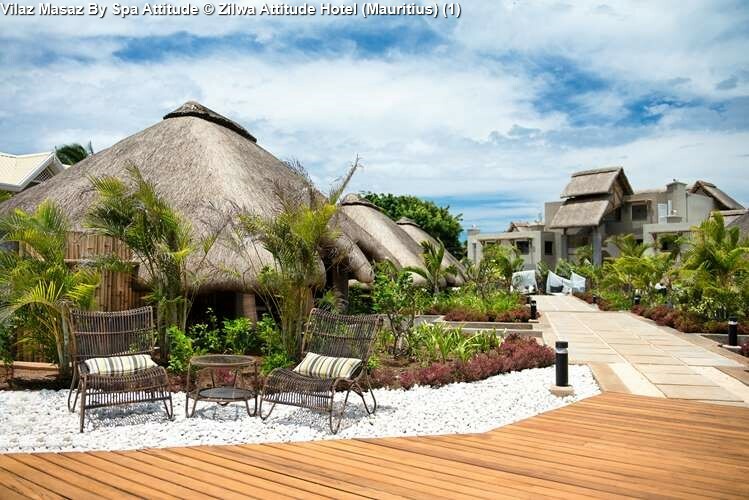 These Superior Rooms with their seaside atmosphere, their uncluttered design and their natural colours with dabs of bright sunshine yellow are all situated in one or two storeys cozy, traditional bungalows under thatched roofs. The rooms open up on a furnished terrace or balcony. 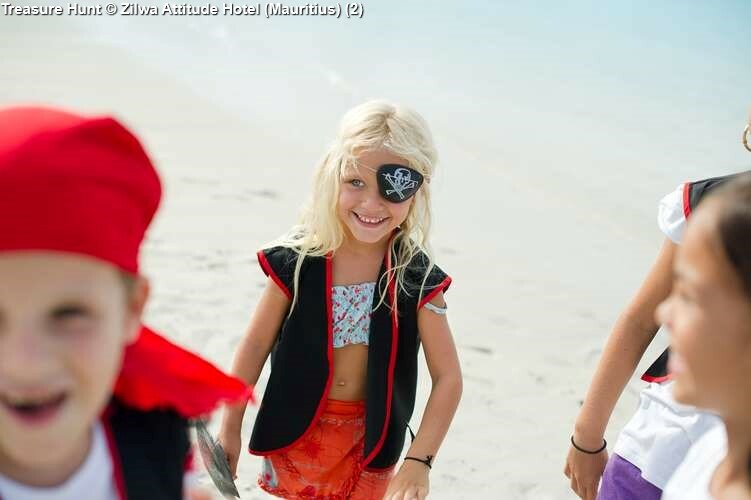 68 superior rooms have seaview of which one room welcomes guests with reduced mobility. 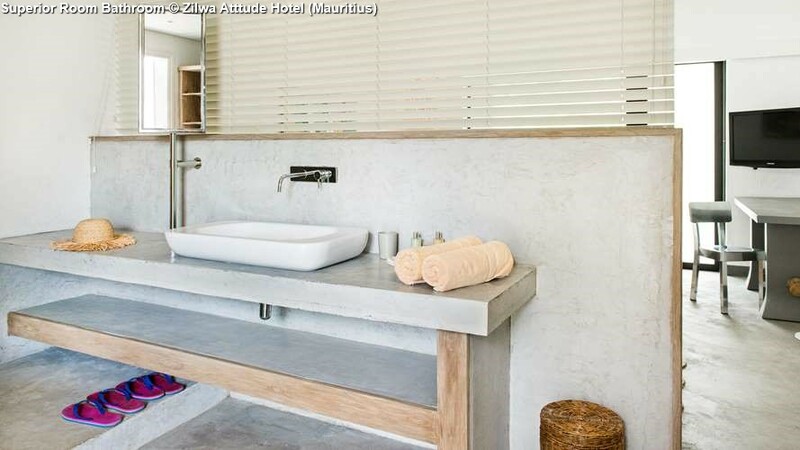 The natural wood furniture contribute to the zen atmosphere of these 21 elegant grey and white rooms. 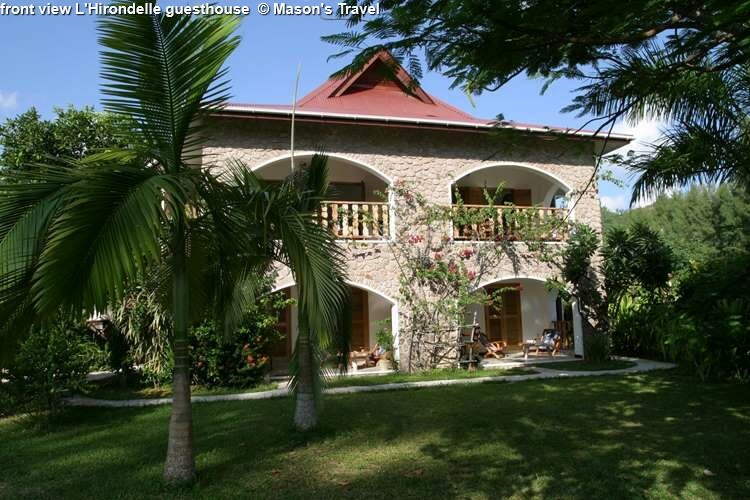 Situated on the 1st floor, these rooms with their furnished balcony, are all sea facing. 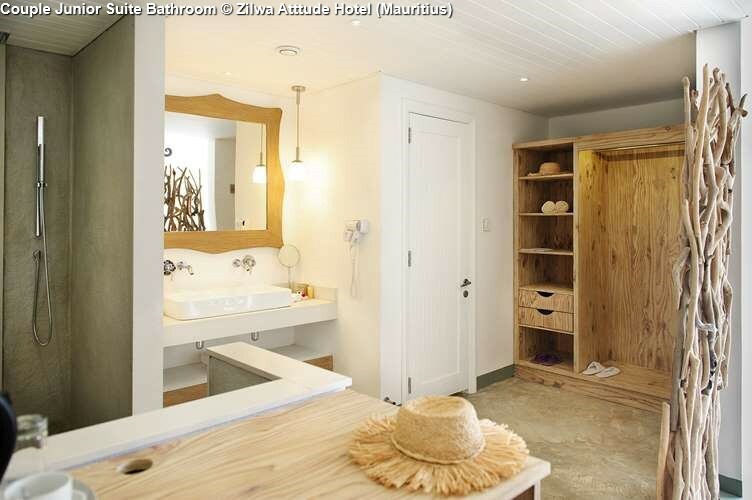 They have a double bed, a spacious en suite bathroom with a shower and a separate toilet. 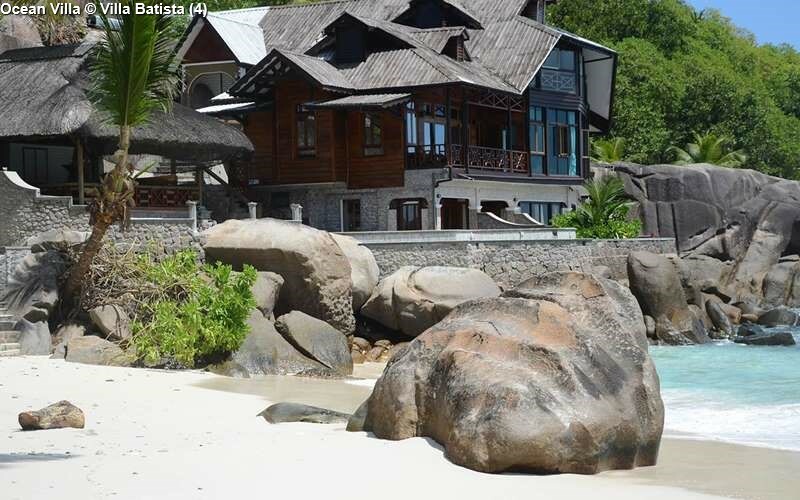 14 rooms have beachfront. 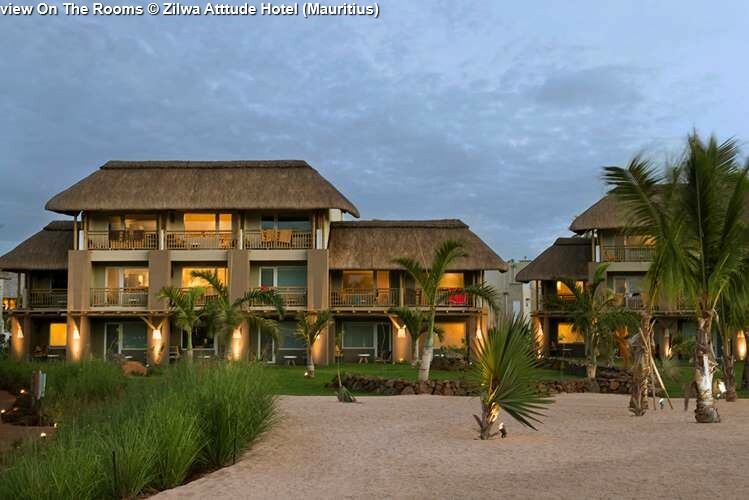 Including 14 Beachfront Rooms these suites are situated on the ground floor, some of them opening right on the beach… They all have a lounge area, a furnished terrace, a double bed, a spacious en suite bathroom with a shower and a separate toilet. 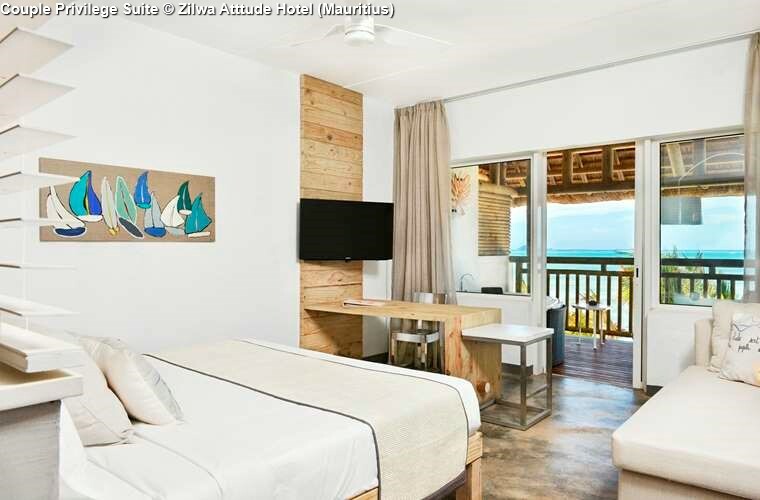 The family rooms are specially designed for families and beautifully decorated: wood, driftwood coconut fibre carpets, trendy furniture, natural colours with touches of bright yellow for the main room and soft blue for the second room. 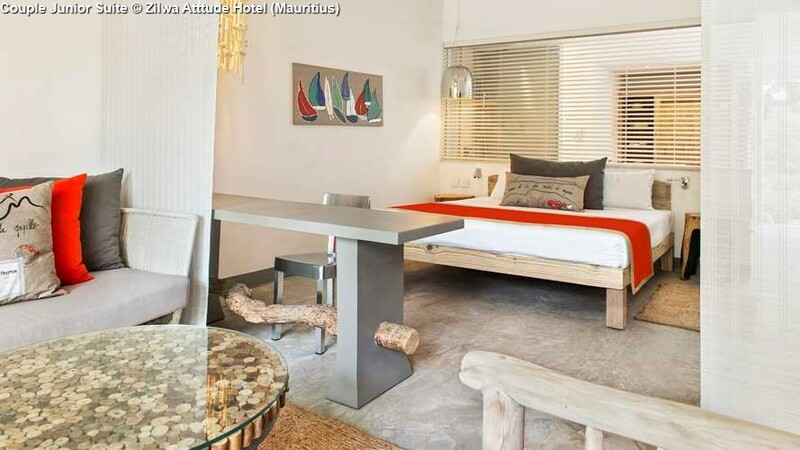 These rooms are situated on the ground floor and opening on a wide furnished terrace. These rooms (2 units) open on a furnished terrace or balcony. 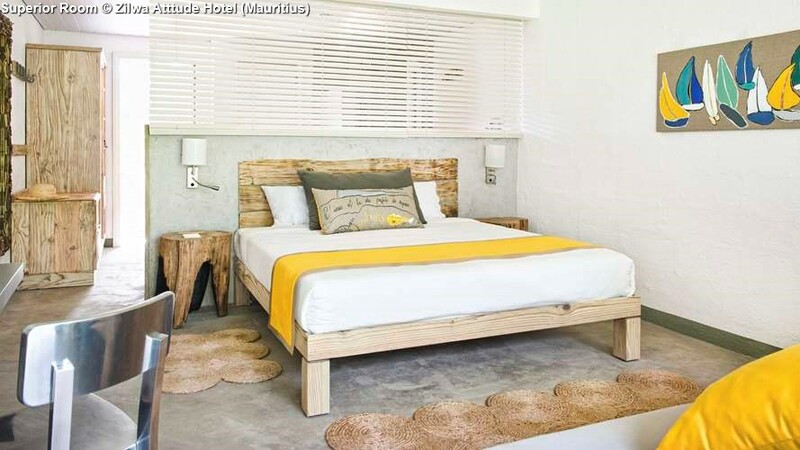 They are fitted with a double bed in the main room and twin beds in the 2nd room. These apartments, among which 10 sea-facing rooms, are organized around 2 rooms communicating via an entrance hall. 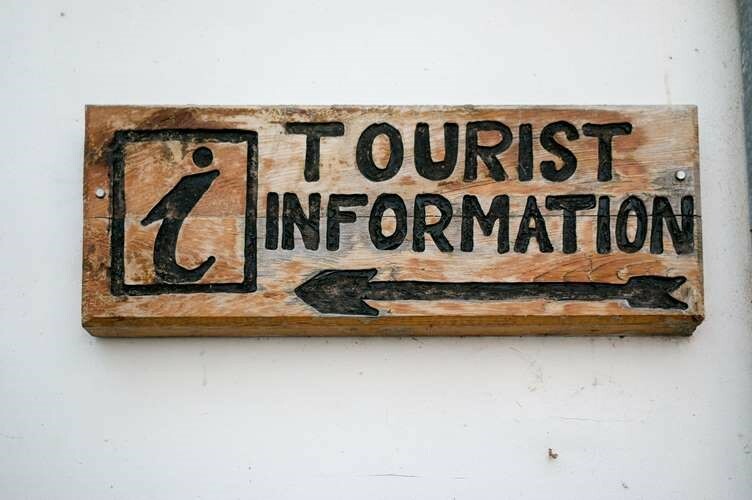 They are located on the ground floor or on the first floor and open on a wide furnished terrace. 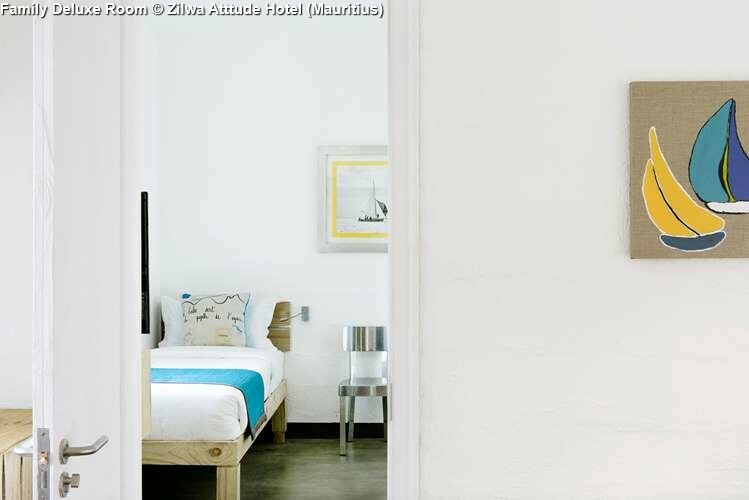 Each room is fitted with a double bed and one single bed. 8 apartments are on the ground floor and 12 apartments on the first floor. 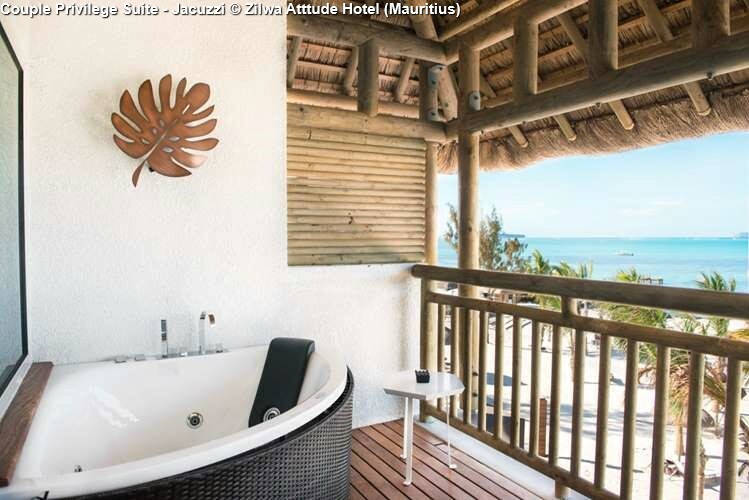 All the rooms/suites/apartments have a balcony or a terrace, telephone and IDD access, television (satellite channels), Wi-Fi, mini bar, electronic safe, tea and coffee facilities, air-conditioning and ceiling fan, hair dryer, bathroom with shower and separate toilets. 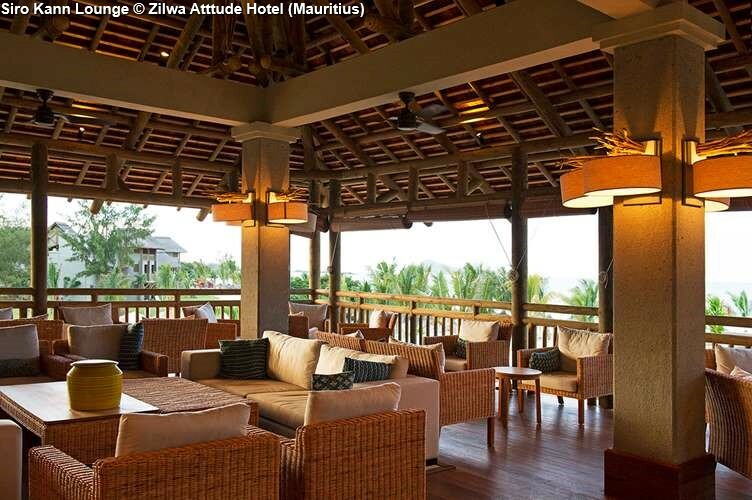 Zilwa Attitude with its 5 restaurants offers a blend of spicy and exquisite tastes from all over the world. 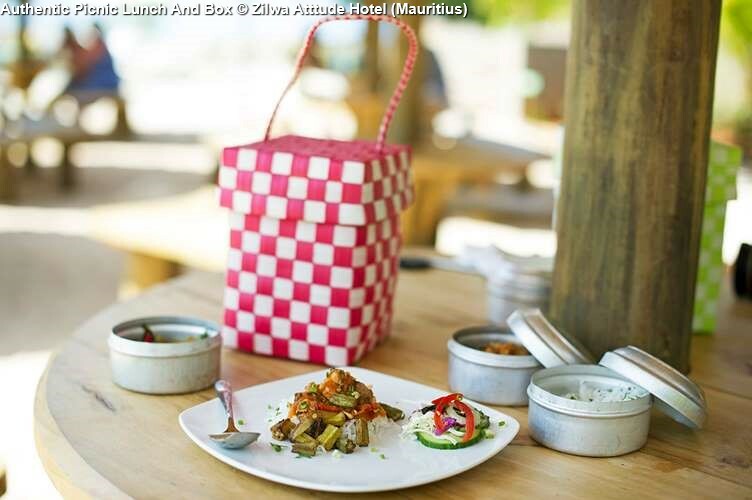 It's called in Mauritius “Metisaz”: a delicious mix of Creole, Indian, Asian and European cuisines true to the cultural diversity of the island. Guests will embark on a culinary trip, the port of calls, with their Creole names, being: “Karay”, “Siaw”, “Lor Disab”, “Taba-J” or “Grand Zil”. 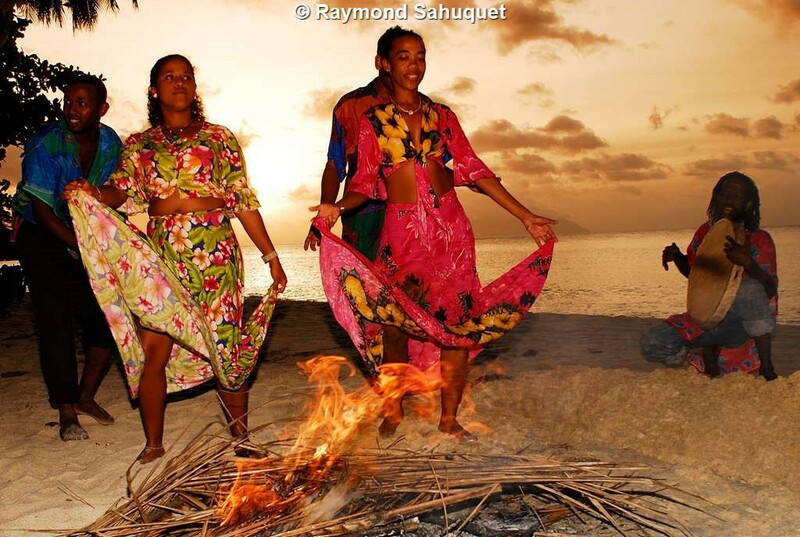 As a couple or as family, an excursion on the islands will turn you into the 21th century Robinson Crusoe. 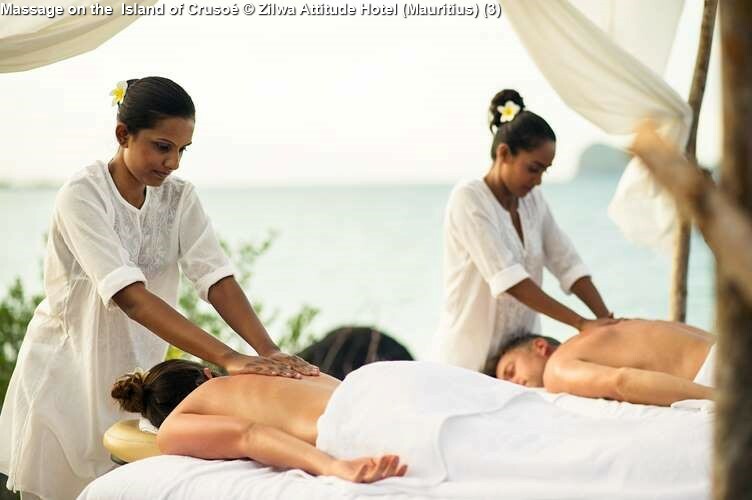 You are guaranteed exotic surroundings and a peaceful environment. 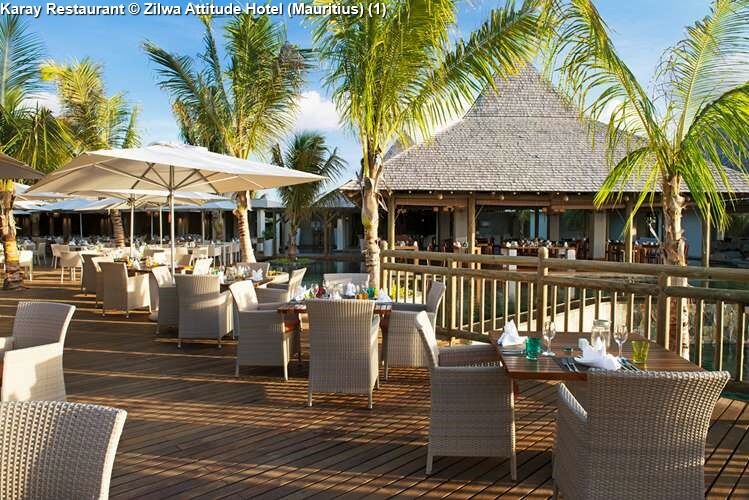 At lunch time, sip your drink in the sea and savour a delicious barbecue prepared by one of our Family Members. 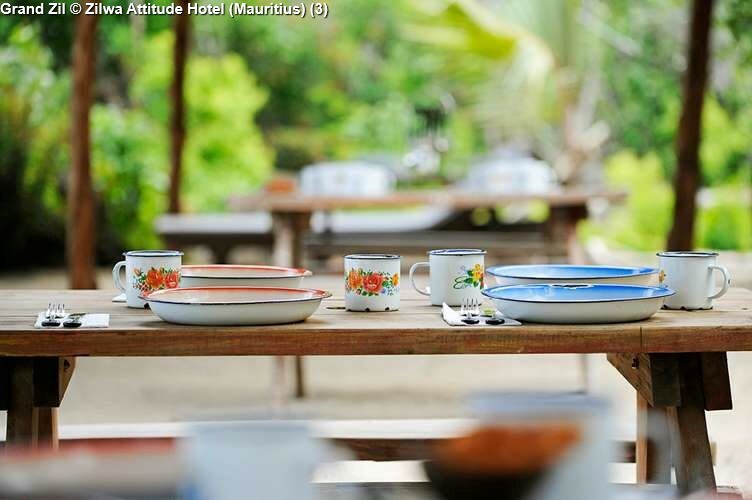 Breakfast is served in the main restaurant “Karay”, the Creole word for a very precious Mauritian kitchen utensil, the counterpart of the “wok” in Chinese kitchens. 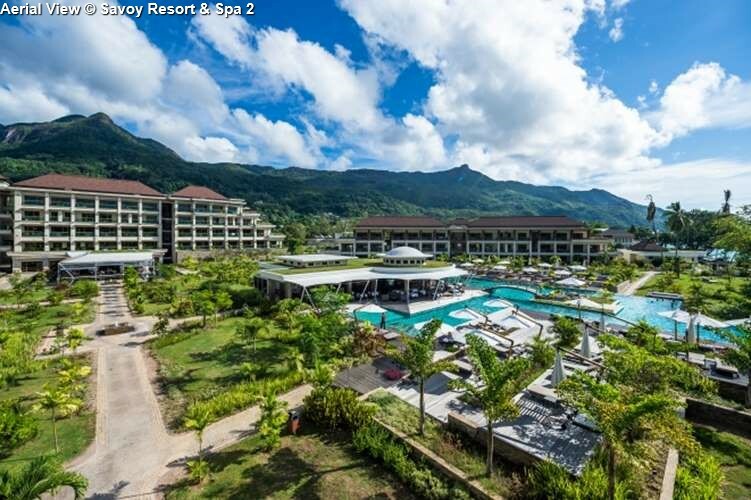 Karay offers a beautiful view on the lagoon. 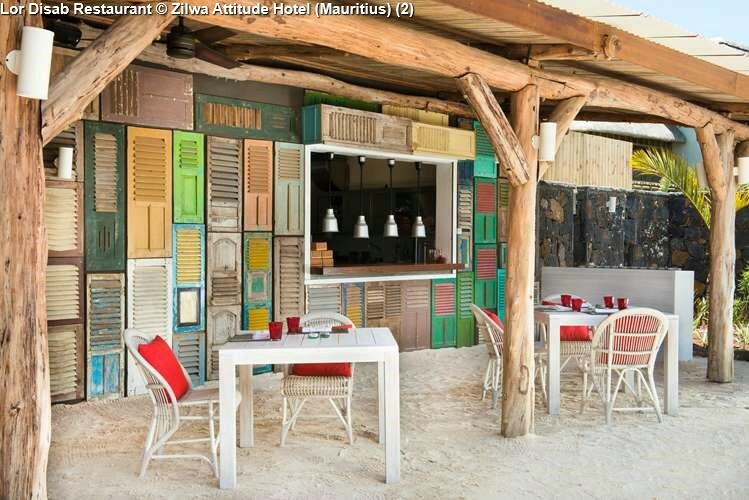 The old salvaged wooden doors covering one wall and the cast iron ceiling lights contribute to that atmosphere of days bygone…while the light colour wood and painted walls together with some mother-of-pearl features, the woven rattan furniture and the orange cushions bring guests and visitors back to the contemporary Mauritius. 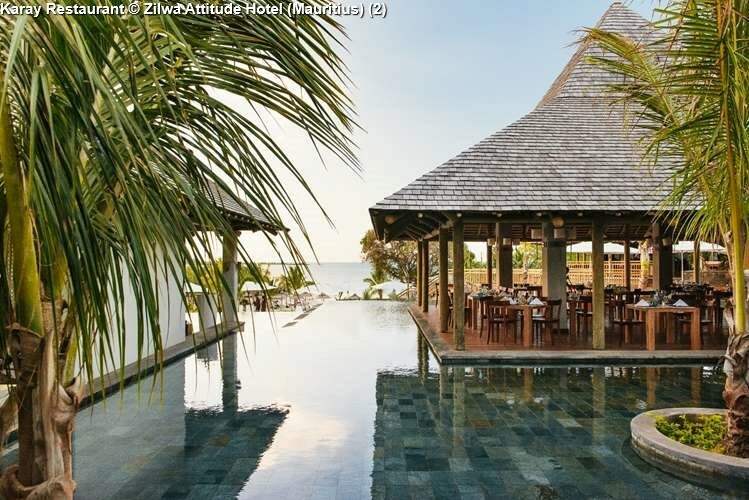 The 3 dining areas are widely opened on the beautiful infinity pool, a wooden deck, overlooking the beach, can accommodate a few tables. 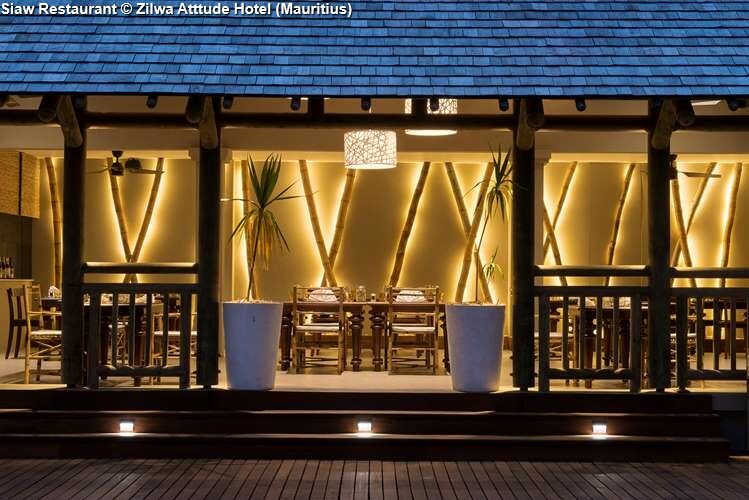 “Siaw” with its’ lit up bamboos at night, invites you to taste the Sino-Mauritian cuisine in a modern Zen atmosphere. The Chinese food lovers will thoroughly enjoy “Siaw ”. 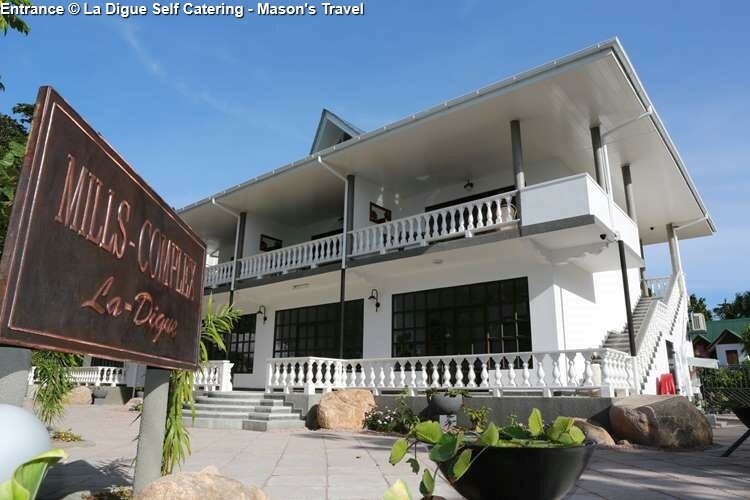 The chef, a Wok specialist will prepare for you delicious rice noodles, stir-fried beef and vegetables or lemon grass flavoured chicken fillets. A selection of starters and desserts à la carte, as well as delicious “dim sum” served in their bamboo baskets will complete this experience. 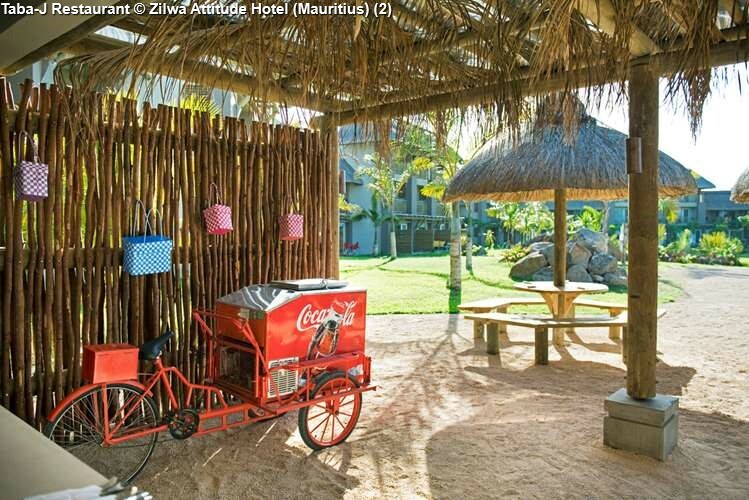 The “filaos” wood pillars, the salvaged wooden doors, the square tables with their white ceruse, the rattan chairs and their red cushions, the round tables under their thatched roofs, the reproductions of Chazal paintings on the walls… are all reminders of these traditional seaside homes found along the Mauritian coast. 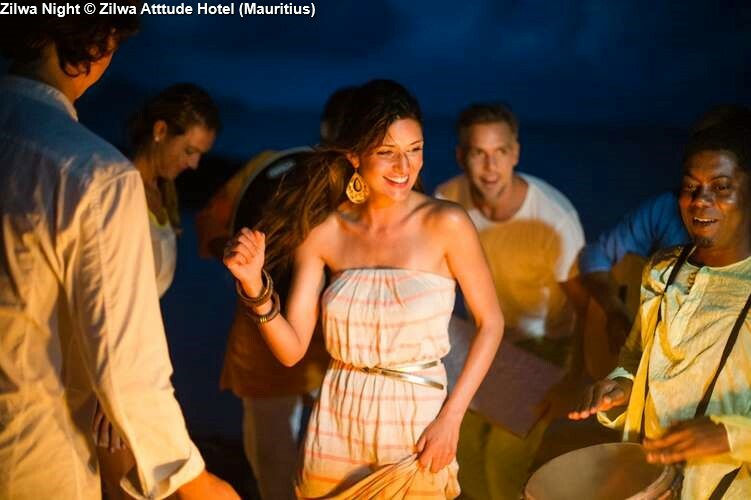 Here, the guests will enjoy the “rotis” and “faratas”, “dholl puris”, traditional Mauritian pancakes filled with curries, pickle or chutneys. The sandwich and Panini addicts will not be disappointed either! “Siro Kann” is the Creole word for the sugar cane juice widely used in the exotic cocktails. 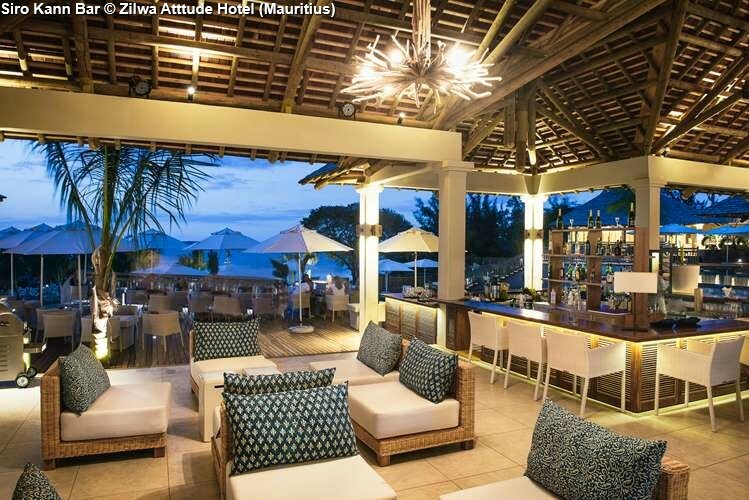 In this Main Bar the expert barmen will prepare a variety of homemade rum-based cocktails flavoured with pineapple, lychee and coconut… to the guests delight! 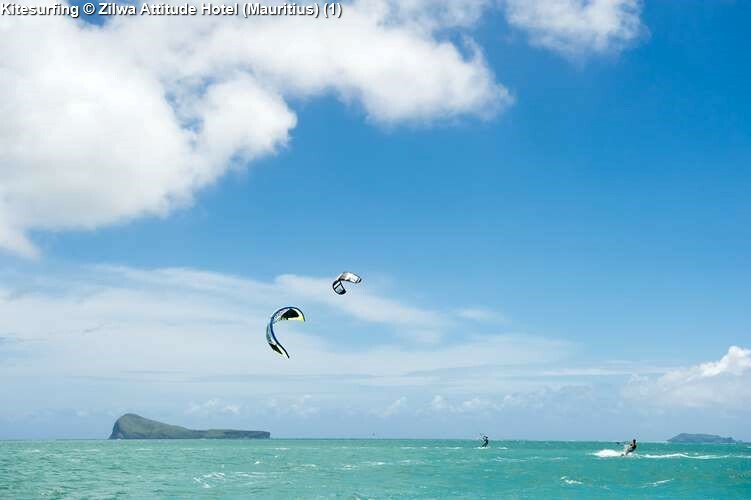 Anse la Raie lagoon welcomes Windsurfers and Kitesurfers fans alike all year long. 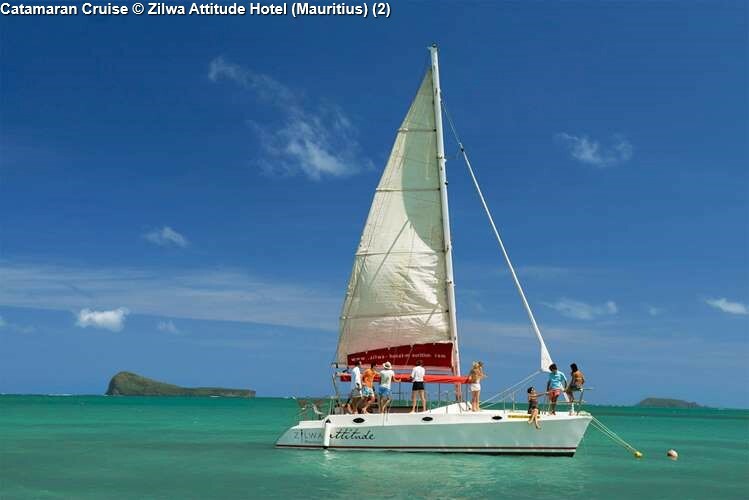 Those who enjoy canoeing pedal boat or stand up paddle will explore the numerous creeks…Those who prefer sailing will be delighted by a memorable day or a sunset trip on the hotel catamaran. 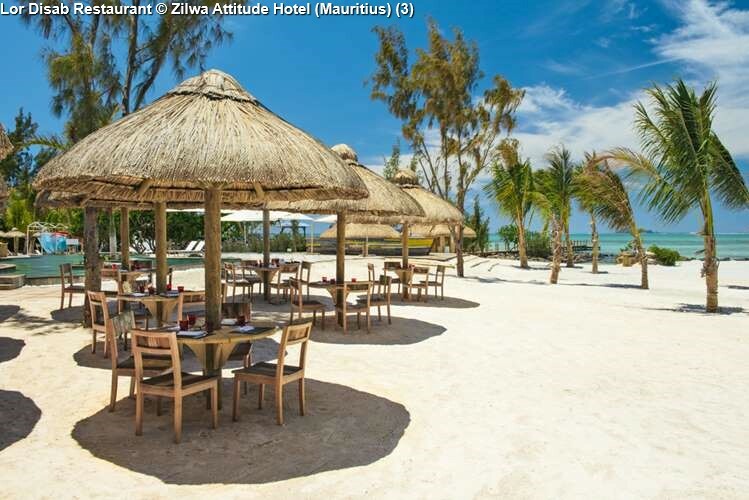 Many people believe that the beaches of northern Mauritius are without compare. 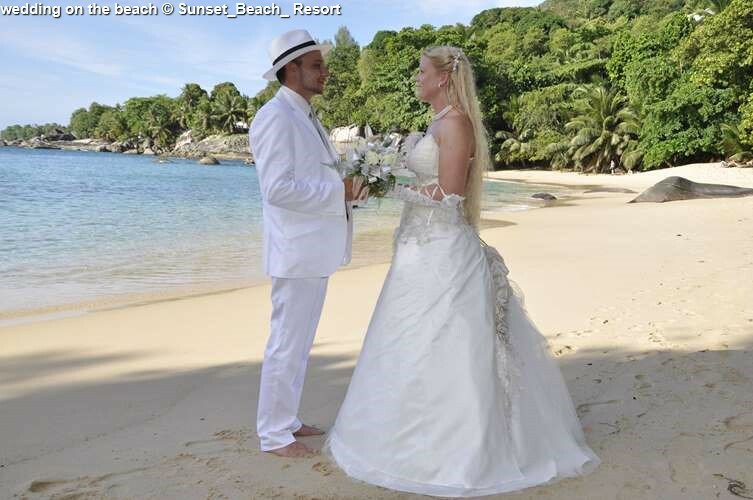 Some of the finest examples include the stunning Trou aux Biches – shaded by casuarinas trees – the arching curve of Mont Choisy beach, which runs from Trou aux Biches to Grand Baie, and the divine Pereybere cove. 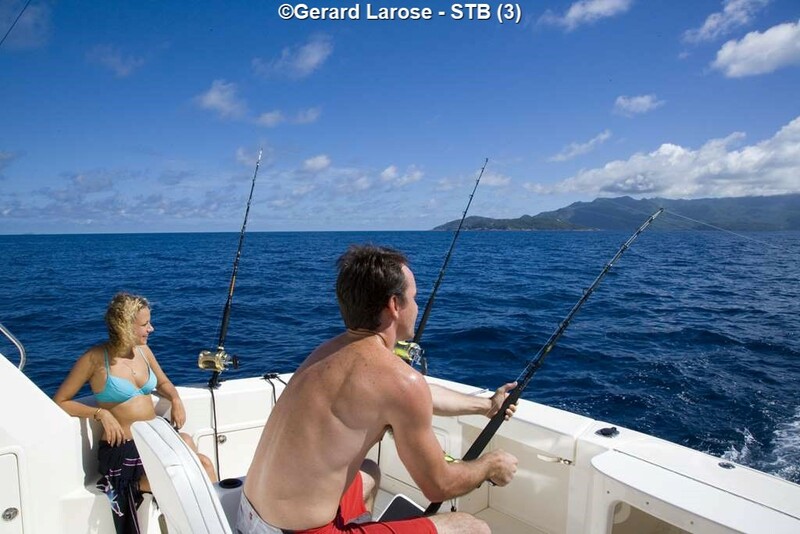 Grand Baie is the Mauritian centre for sailing activities. 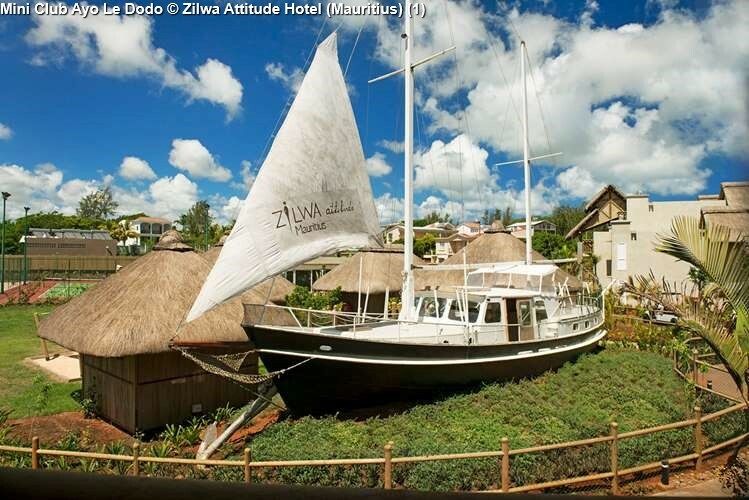 Visitors can join a yacht tour, a catamaran cruise or even charter a private launch here. 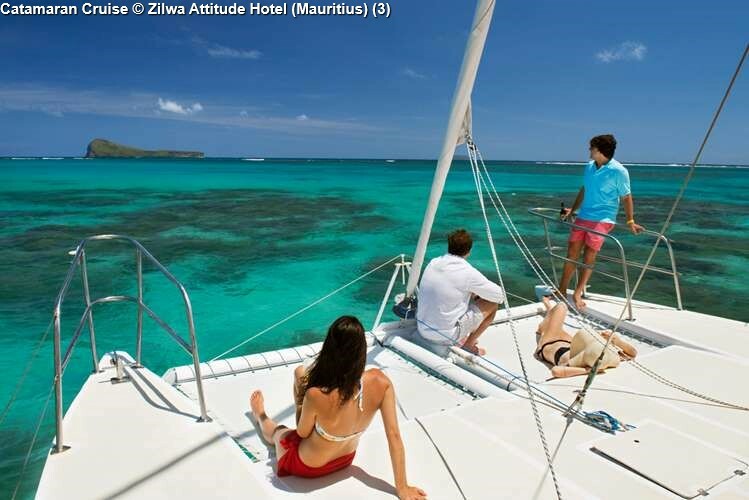 Conditions for sailing are usually excellent and yachts can be chartered to cruise around Mauritius or to visit some of the northern offshore islands. 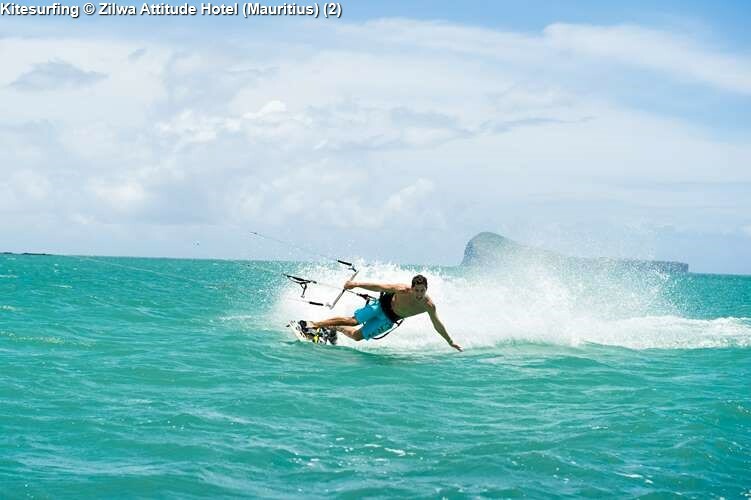 Perhaps a little less well-known than Le Morne or Belle Mare, there are still some wonderful spots for adventurous kite-surfers to practise their skills in the north of Mauritius – particularly around Cap Malheureux and Anse La Raie. 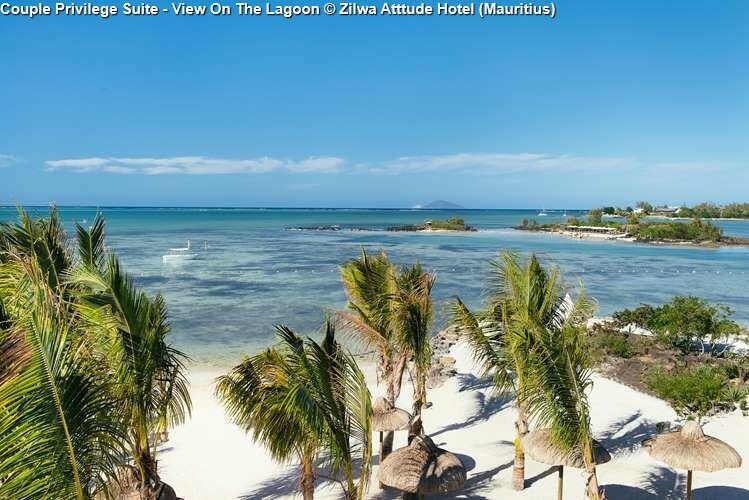 The north is arguably one of the best places to scuba dive in Mauritius. 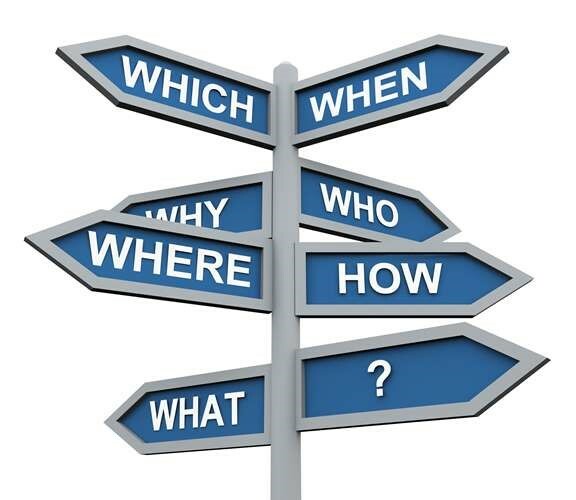 There are a range of exciting options available to both beginners and more advanced divers. 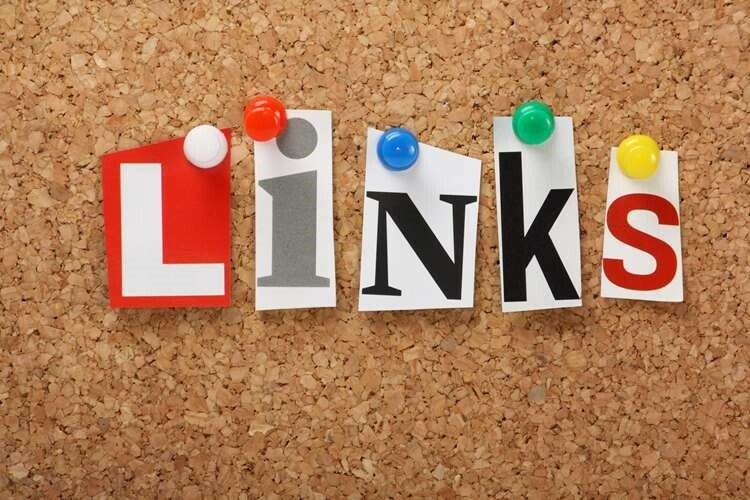 Of these, some of the most popular are: Gunner’s Coin (26 metres in depth) where big parrotfish can be spotted during each dive; Whale Rock (26 to 38 metres in depth), where you might be lucky enough to witness a hammerhead shark; and Holt’s Rocks (16 to 25 metres in depth), which – as the name suggests – features huge underwater boulders. One of the most spectacular ways to explore the ocean bed is to take a journey on the Blue Safari submarine or sub-scooter. 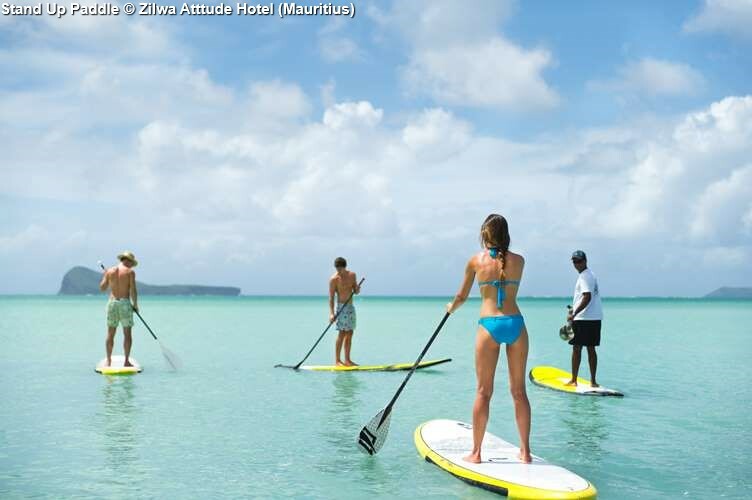 Doing this allows non-scuba divers to safely enjoy a superb encounter with Mauritius’ vibrant marine life. It also gives them the chance to see various wrecks dating back to the 17th Century. ‘Le Nessee’, a semi-submersible boat, can also take you on a safe and comfortable discovery trip under the sea. It offers a rare and unforgettable experience, providing optimal viewing facilities for all age groups from its below-the-surface viewing room. For those who want to experience the feeling of actually walking on the sea bed, meanwhile, ‘Captain Nemo’s Undersea Walk’ is a must. Underwater Walk Ltd. has developed a unique solar-powered diving system that sends a constant stream of fresh air to helmets worn by the undersea explorers. 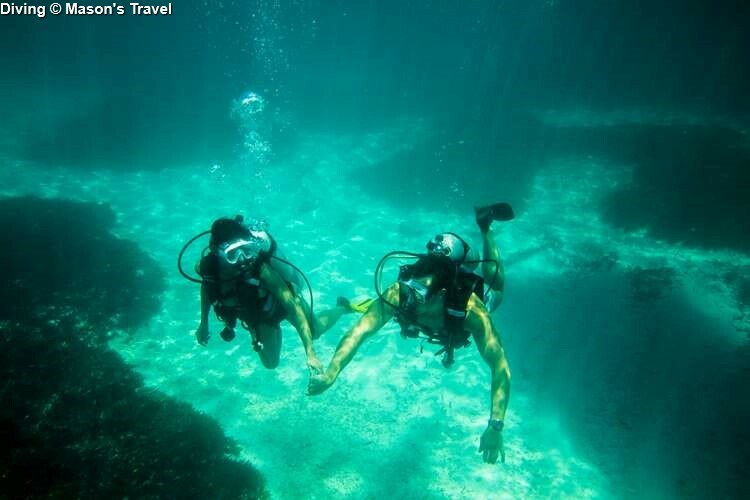 This allows non-scuba divers to get as close to sea-life as is physically possible, without the need to undertake expensive and time-consuming scuba qualifications. 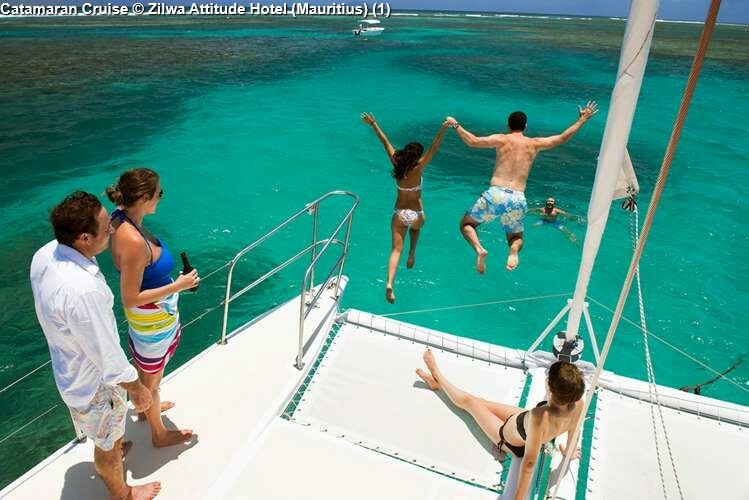 This cluster of small islands off the north coast has become a favourite stop-off for sailboats and diving groups alike, but is perhaps best seen through a dedicated catamaran cruise, which can be booked from hotels desks or through local tour operators. Taking part in one of these tours allows visitors to snorkel in the crystalline waters off Gunner’s Coin, which rises sharply above the water and harbours sea-birds’ nests in the cliffs. 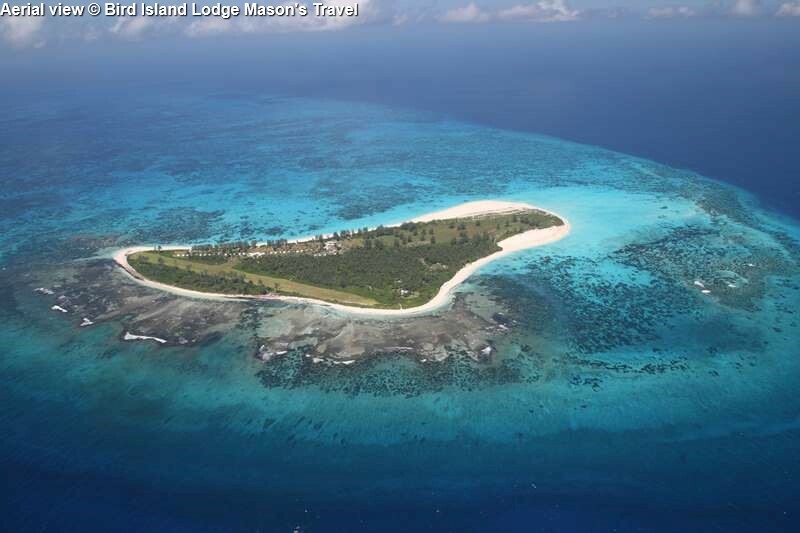 It also provides an opportunity for picnicking and swimming near the stunning Flat Island and Ilot Gabriel. Further north still, one can see the striking shape of Round Island – a natural reserve area where access is restricted to protect the indigenous species of palms and reptiles that have been reintroduced there. 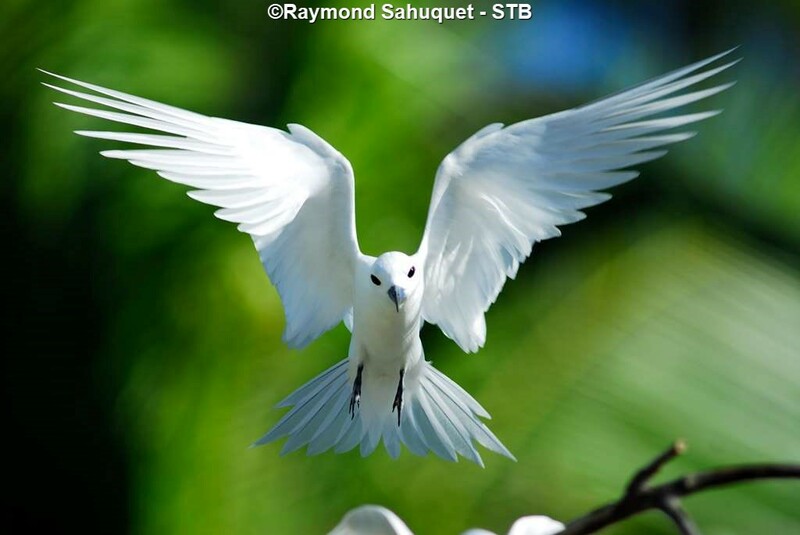 This island and its neighbour, Ile aux Serpents, are currently under intensive conservation management by the government and the Mauritius Wildlife Foundation. 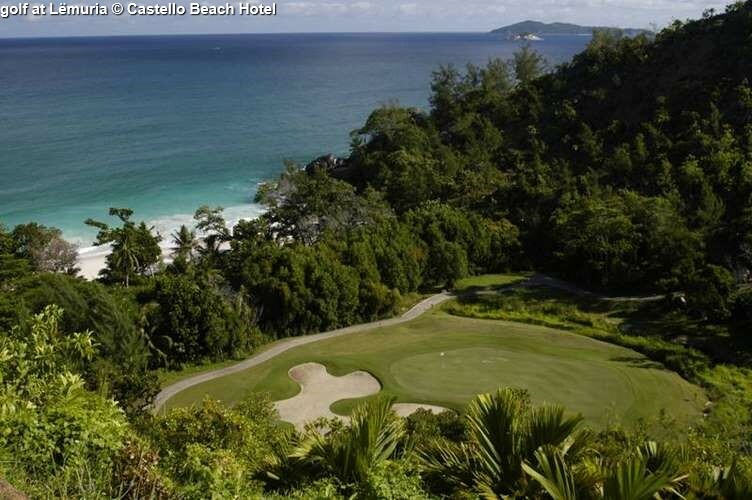 Permits are needed to visit both islands, although it is possible to obtain these locally. 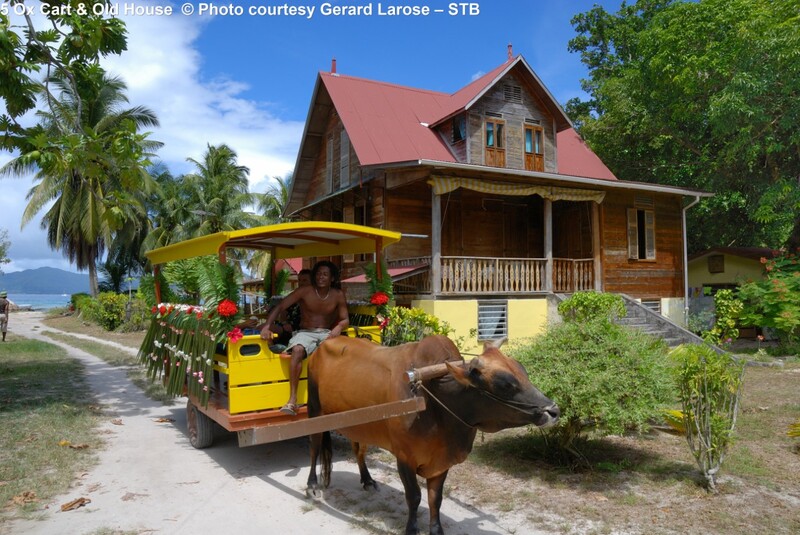 Discover a wealth of tropical fruit trees, colourful and exotic-scented flowers at this beautiful orchard, close to Grand Baie. After a busy day viewing the anthuriums, bougainvillas and hibiscuses, sample the orchard’s freshly-made jams and fruit juices. 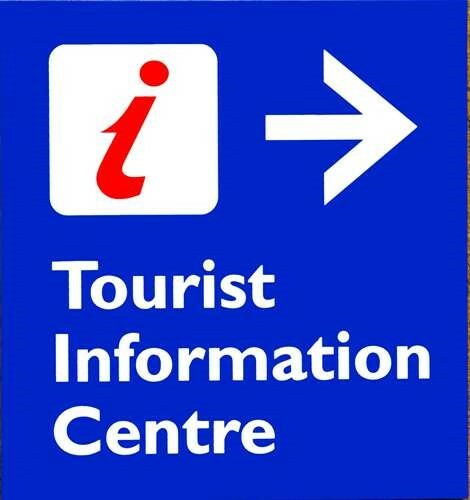 Note that mountain bike or hiking excursions can be organised here. 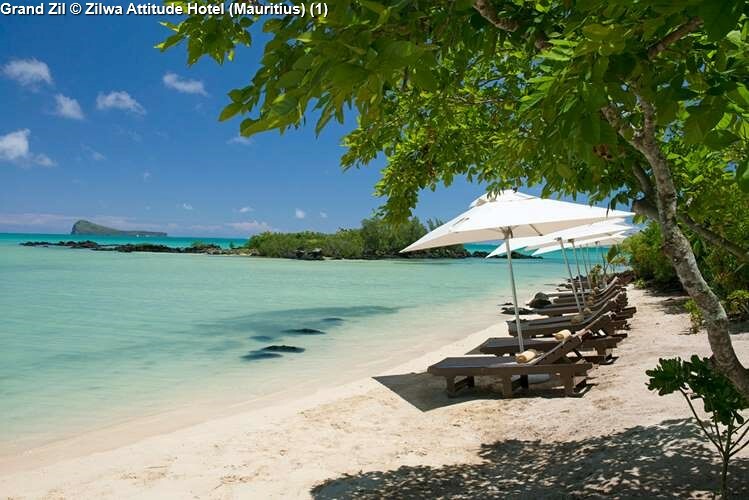 Re-named in 1988 in recognition of the much-loved Prime Minister who led his country to independence 20 years earlier, the SSR Botanical Gardens are one of north Mauritius’ most visited tourist attractions. Famed for their giant Victoria amazonica water lilies, whose gargantuan leaves expand as wide as three metres in diameter, and for the amazing Talipot – a plant that flowers only once every 30 to 100 years – the gardens also feature some fine example of mahogany trees and rare Latanier palms from Madagascar. Cap Malheureux is the most northerly point of the island and the place where General John Abercrombie landed his troops when the British first attacked the island. A tiny chapel famous for its red roof, the Notre Dame Auxiliatrice – commonly known as the Red Roof Chapel – is worth a quick visit. Be sure to look out for its intricate interior woodwork and for its holy-water basin fashioned out of a giant clamshell. As well as being the longest village on the island, Triolet Shivala also boasts the biggest Hindu temple. First built in 1819 in honour of the Gods Shiva, Krishna, Vishnu, Muruga, Brahma and Ganesha, the brightly-coloured Maheswarnath provides an interesting stop-off point. 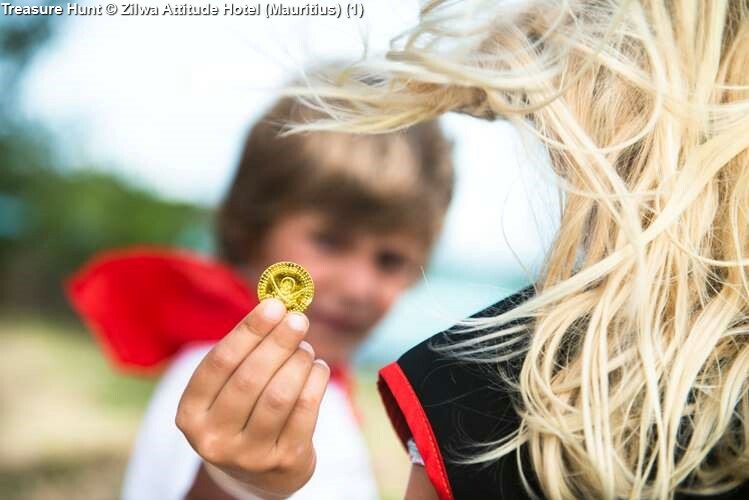 The most famous story in Mauritius folklore, ‘Paul et Virginie’ was inspired by the shipwreck of the St Géran, which came to a watery end just off the north-east coast at Poudre d’Or. A small monument marks the spot where the boat sunk. 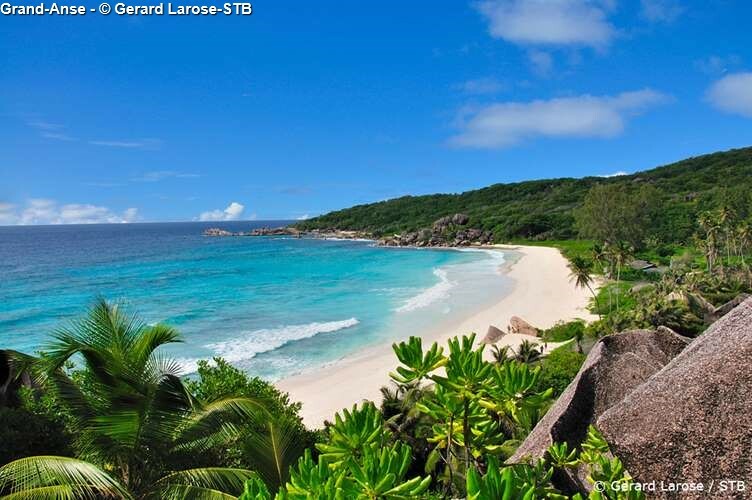 Legend has it that while Paul, the son of a slave, waited for Virginie, his bourgeois sweetheart, to return from overseas, her boat the St Géran floundered on the rocks. Paul apparently swam out to his lover, but she modestly refused to remove her clothing to swim back to shore with him. Eventually her Victorian clothes dragged her down into the depths and she was drowned. Paul subsequently died of a broken heart. 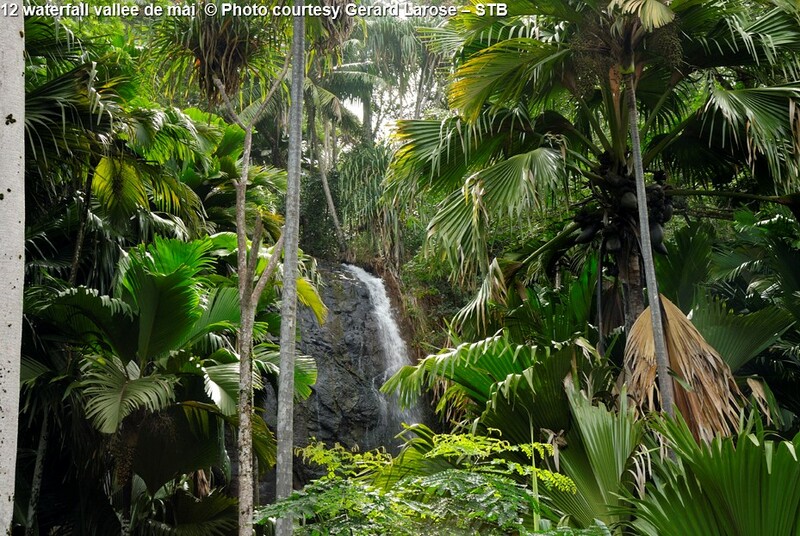 There is more to Pamplemousses than its delightful botanical gardens. 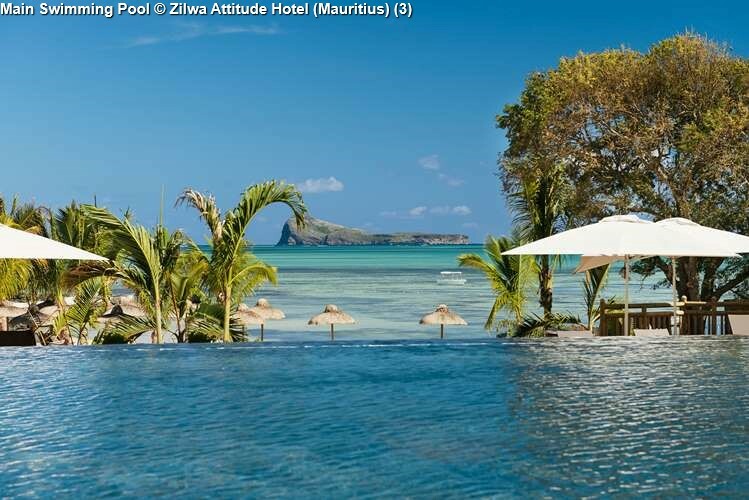 Deriving its original name from the Pamplemoussier citrus plant that was imported by the Dutch who first colonised Mauritius in the 17th Century, this northern town has a rich historical past. 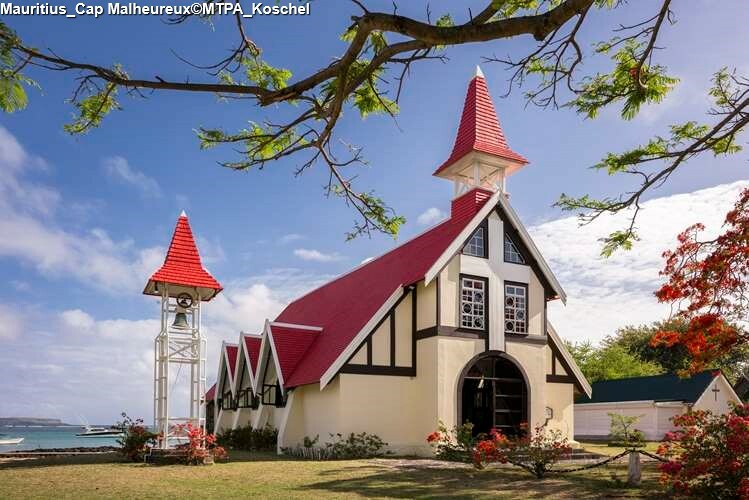 Interesting places to visit include the Old Cemetery, the 18th Century Saint François of Assises Church, and L’Aventure du Sucre: a fascinating museum that chronicles the history of the Mauritian sugar industry while offering additional insight into the island’s wider history, including slavery and rum production. Invites you to join Eco’lo and his friends for a unique adventure under the waves and through the reefs, to the depth of the Indian Ocean, surrounding our tropical shores. Being the only Public Marine Aquarium on the island, we proudly displays over 150 sea creatures including Giant Morays, Sea Turtles, Reef Sharks and an abundance of shapes , colours and patterns that will inspire the imagination !! The doors are open every day for you to discover a wealth of knowledge you may have never knew existed and bring you closer than ever before to deep sea giants at our open top predator tank. 9th Century Arabs discovered Mauritius. 16th Century The Portuguese visited Mauritius. 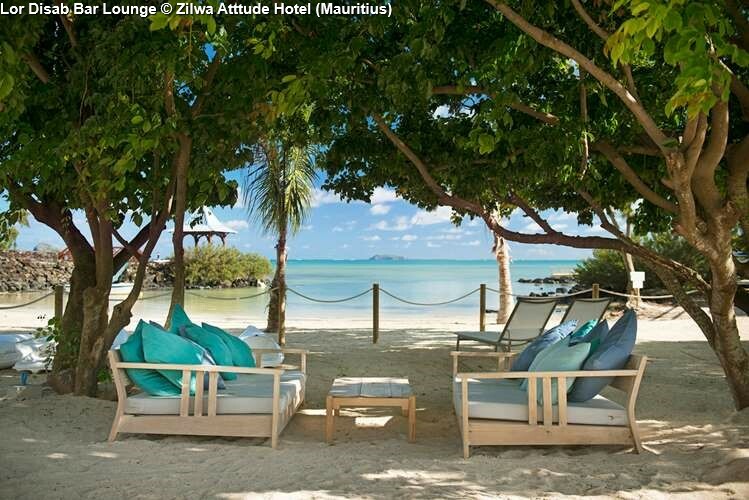 1598 The Dutch who were the first to colonise Mauritius, named it after their ruler, Prince Maurice Van Nassau. Ebony forests were destroyed by overexploitation and the dodo was exterminated. It later became the symbol of endangered animal species and conservation worldwide. 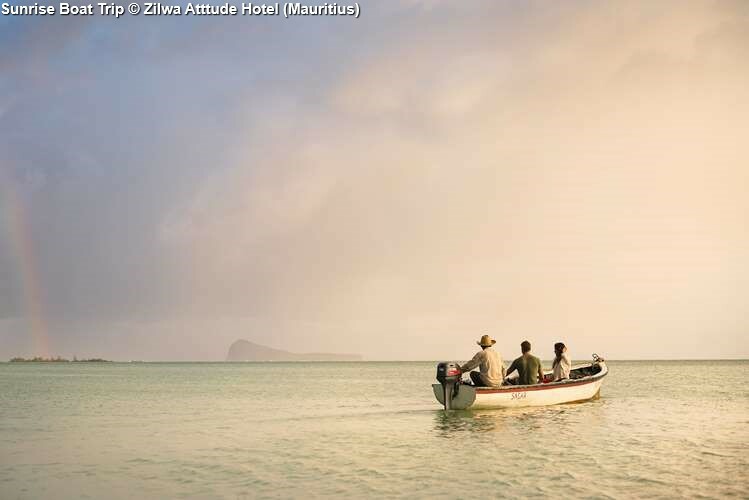 1710 The Dutch left Mauritius. 1715 The French took possession of the island and re-named it ‘Île de France’. 1721 Governor Bertrand-François Mahé de La Bourdonnais founded Port Louis, which later became the capital. He turned the island into a prosperous French colony and a port of call on the sea journey from Europe to the Far-East round the Cape of Good Hope. 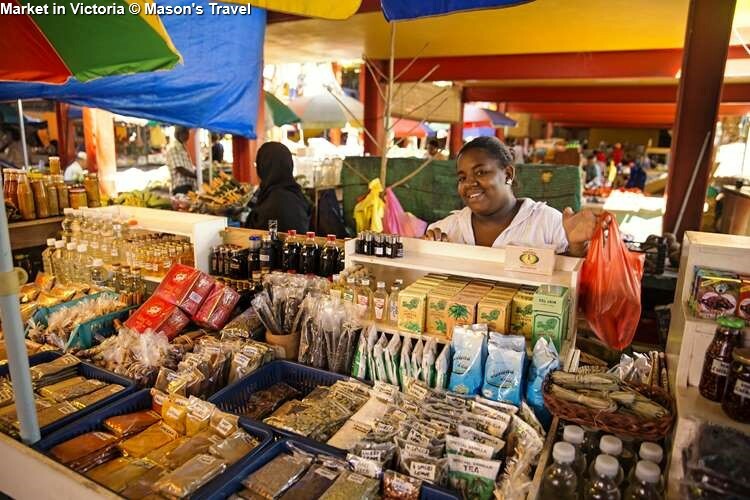 He established Port Louis as a naval base and built roads and bridges. Among his other achievements are the building of the Government House, the Line Barracks, and Château de Mon Plaisir at Pamplemousses Botanical Gardens. 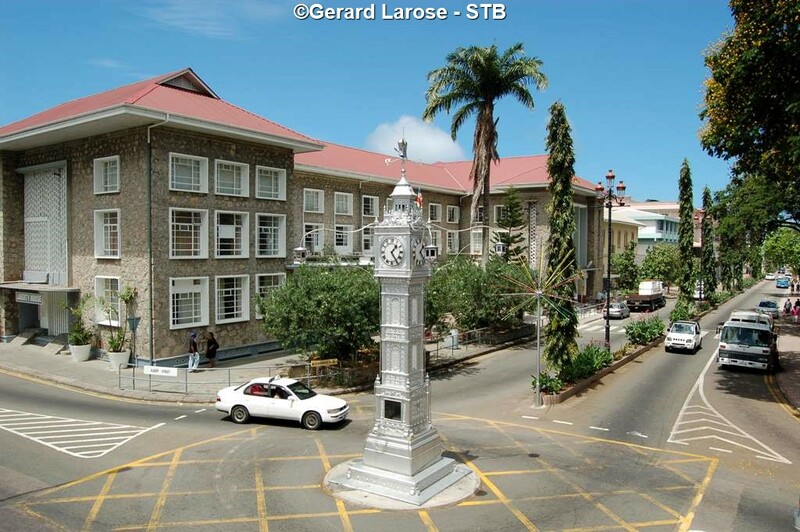 Nowadays, Labourdonnais’ statue stands guard, facing Port Louis harbour. 1810 A major naval battle took place in Grand Port on the south-east coast of the island in this year. It was the only naval battle won by Napoleon, and is thus duly engraved on the Arc de Triomphe in Paris. However, three months later, the British launched a surprise attack from the north of the island and the French governor General Charles Decaen surrendered. 1814 The 1814 Treaty of Paris ratified the cession of Mauritius and its dependencies, Rodrigues and Seychelles, to the British. Réunion Island, which was also captured by the British, was returned to France. 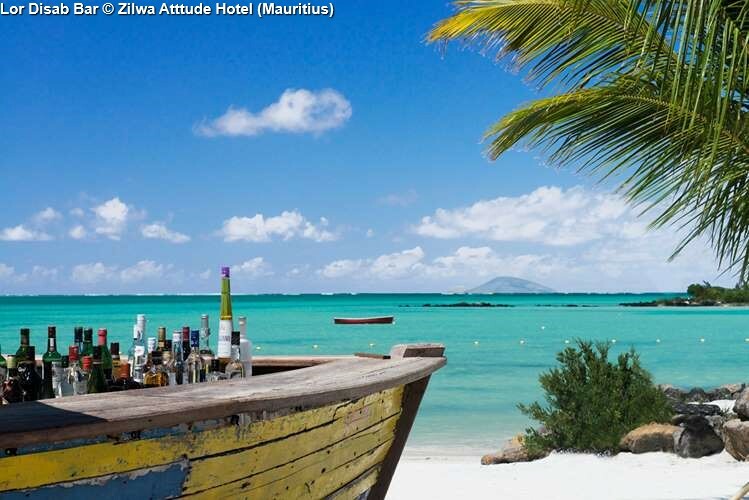 The island took its former name of Mauritius, and English became the official language. However, according to the Treaty of Paris, the population was to keep its language, its religion and its laws. This is the reason why French is still widely spoken, despite the fact that the British ruled the island for 158 years. 1835 The British Abolished Slavery. As the newly freed slaves refused to work in the plantations, indentured labourers were brought in from India. 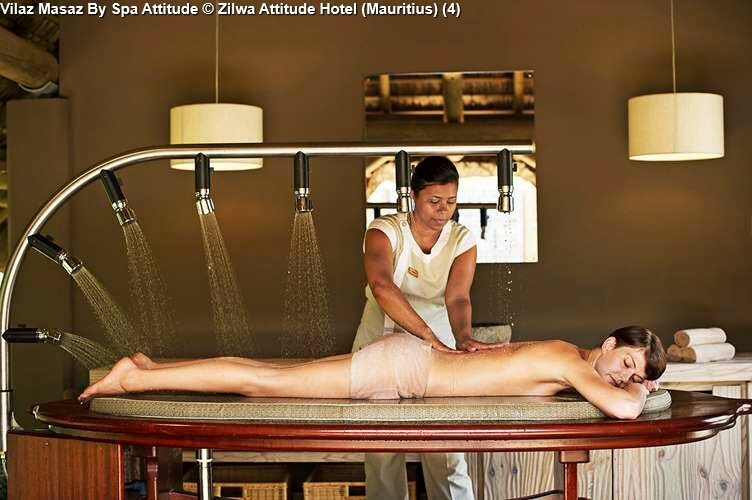 Chinese and Muslim traders were also attracted to these shores – hence the melting pot which now constitutes the population of Mauritius. 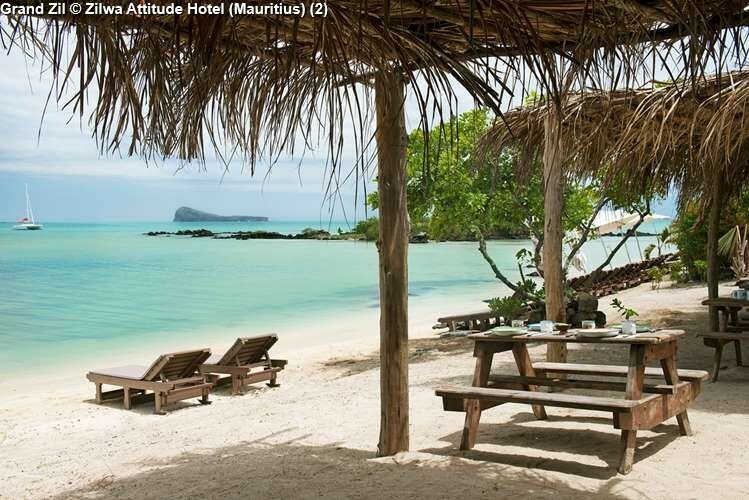 1968 Mauritius gained its independence. Sir Seewosagur Ramgoolam became the first Prime Minister. 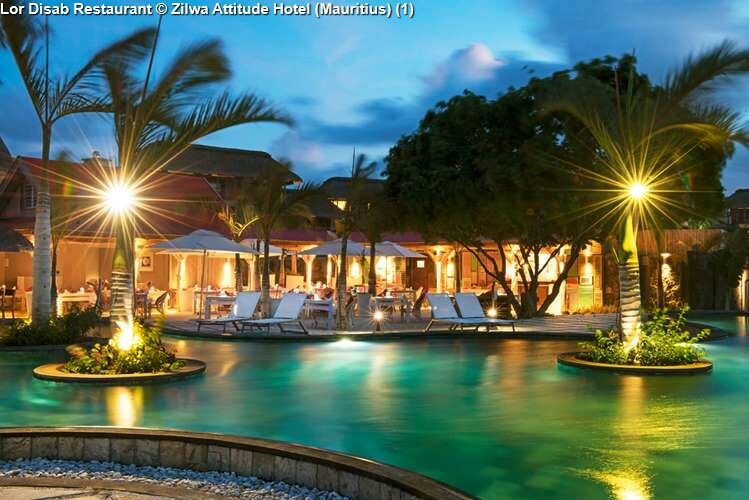 Mauritius still forms part of the British Commonwealth and follows the Westminster pattern of Government. 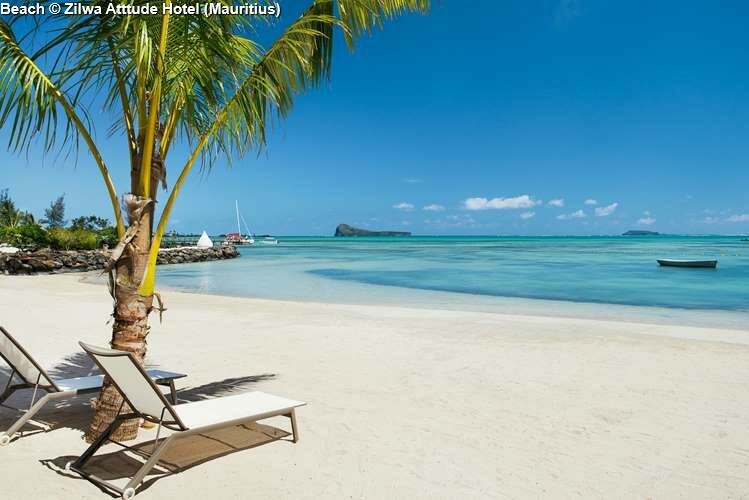 1992 Mauritius became a Republic.